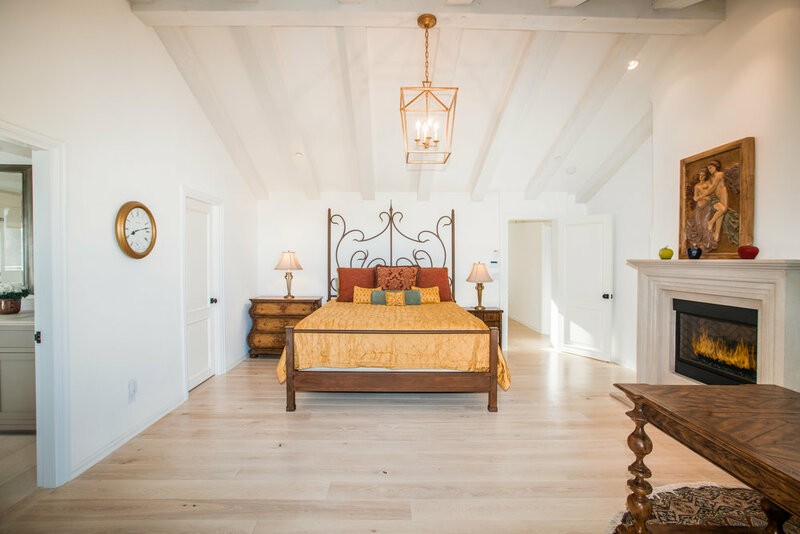 As you enter through the wrought iron gate, you are immediately drawn to an impressive authentic Spanish Villa that has been reimagined for the 21st century by acclaimed architectural designer Mark Cristofalo. 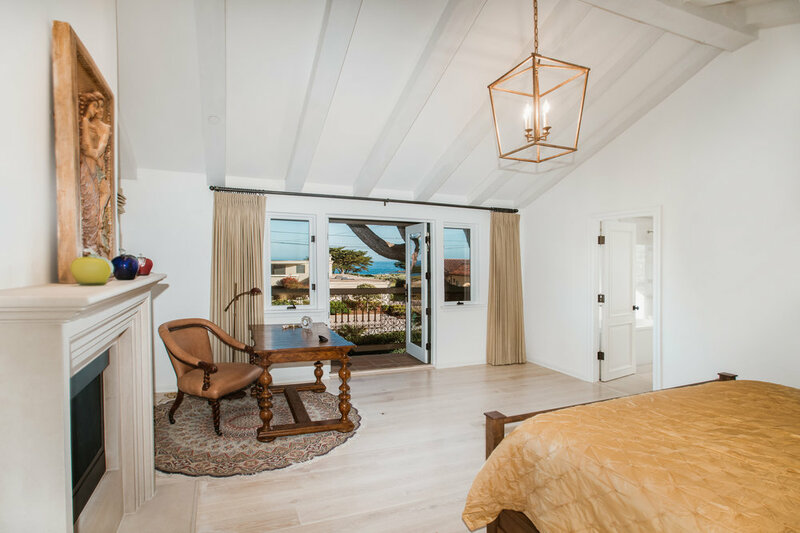 You will be impressed by the modern amenities discreetly built in, yet you will feel that the house has been there forever. 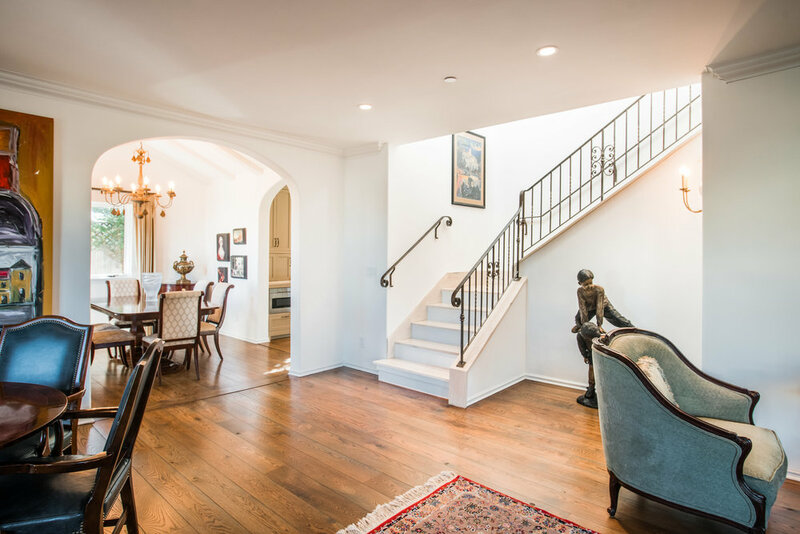 Newly completed in 2016, the artistic simplicity and exceptional attention to luxurious detail creates a lasting union that carries unmistakably throughout. 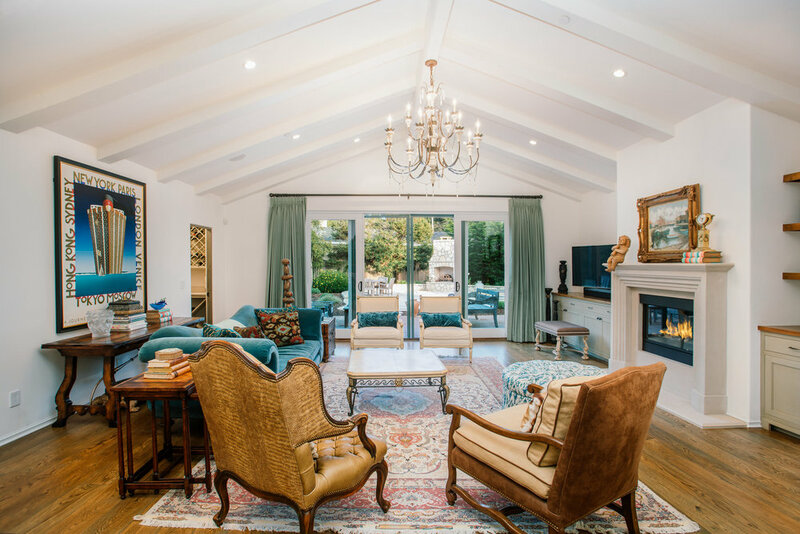 The residence’s living spaces of approximately 3800 sf nestled on oversized parcel unfolded by a series of 4 luxurious en suites, distinctive living room, elegant yet romantic family room complemented by a wine room and handsome fireplace. 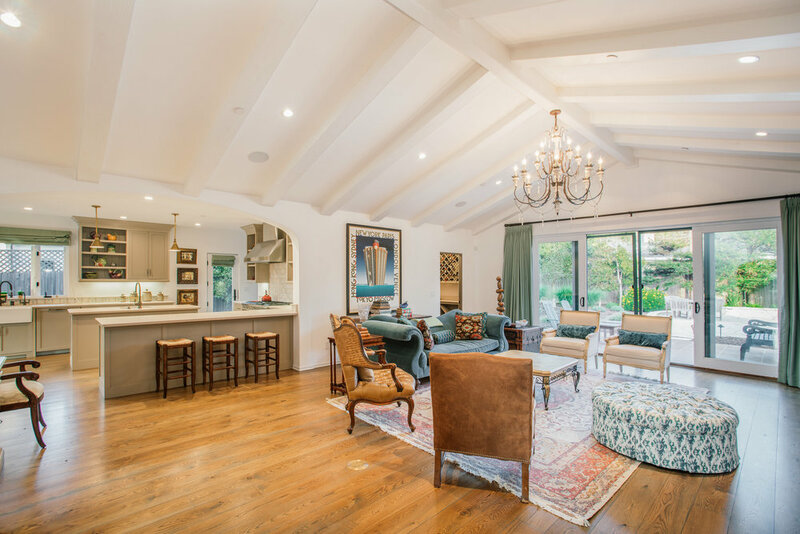 Adjacent expansive stone terraces with fountain and fireplace offer secluded and enviable lifestyle. 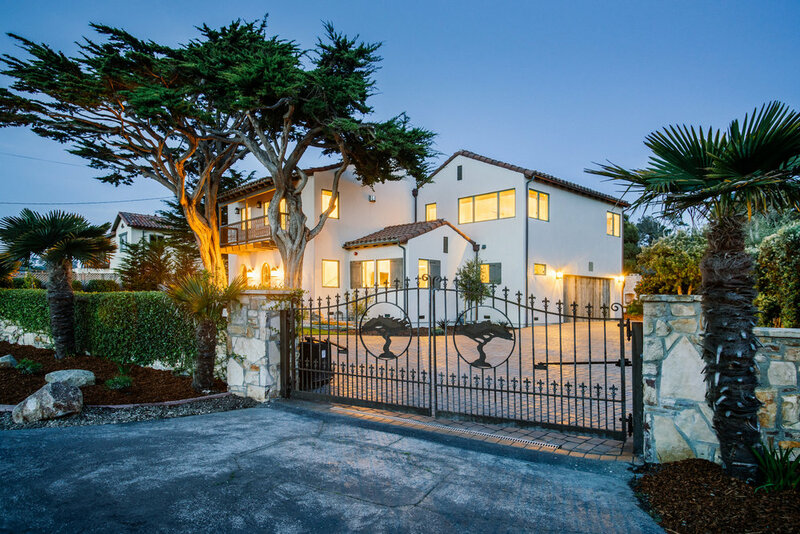 A home to many ocean and golf enthusiasts and located on the most desirable MPCC frontline street, you will be captivated by enchanting ocean, golf course views, and endless Pacific sunsets. Polished and picturesque, this rare luxury residence is a study in sublime architecture which only few can achieve. A very impressive collection of carefully resourced hand crafted finishes complement and contribute to this authentic design. 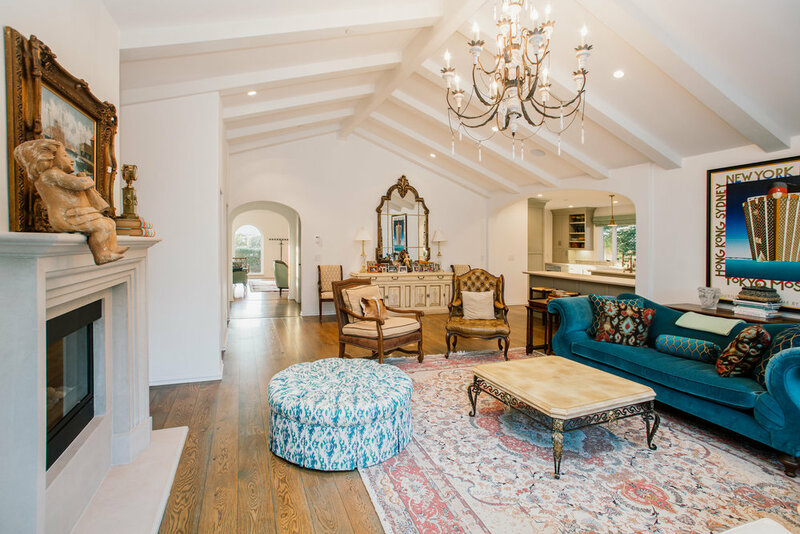 Preserved an impressive authentic 1927 carmel stone gate that effortlessly balances the estate’s unmistakable distinction. 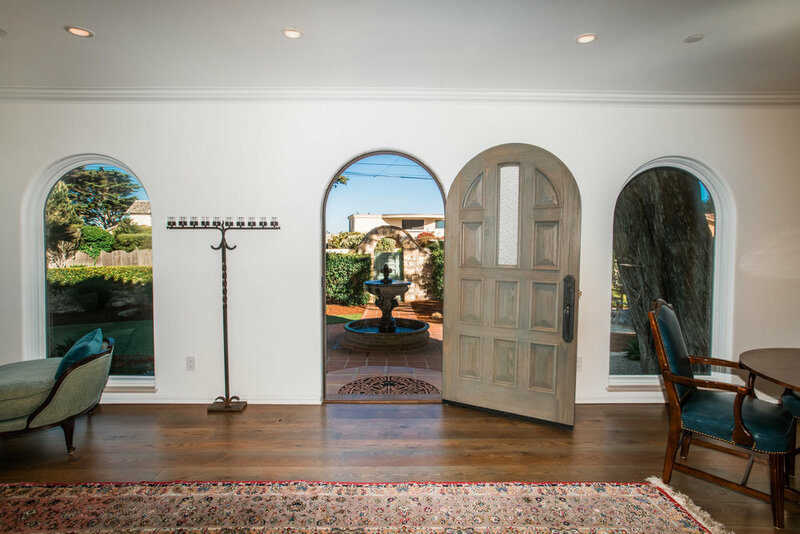 You are greeted by the Pacific ocean to the west, stone crafted fountain to the east and perfectly appointed numerous outdoor living spaces ideal for informal gatherings. 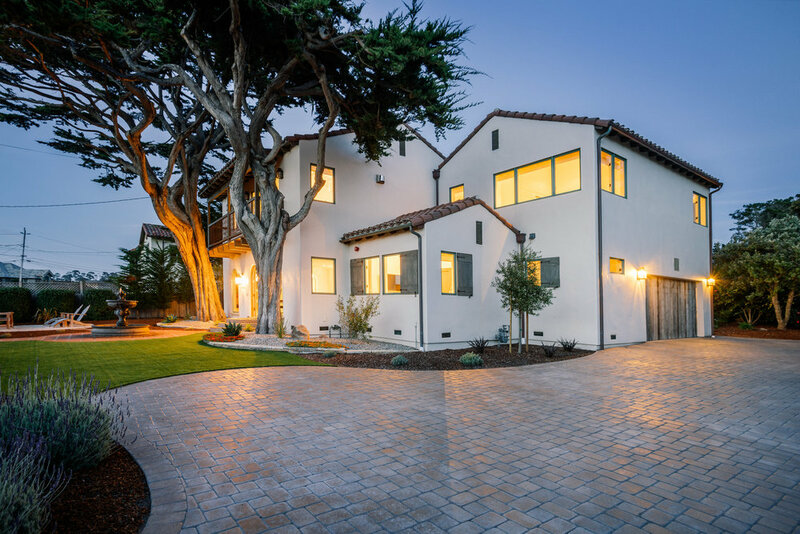 This remarkable 2 story residence is among Pebble Beach's best addresses with captivating Pacific ocean and MPCC Shore Course views that defines the essence of Pebble Beach. 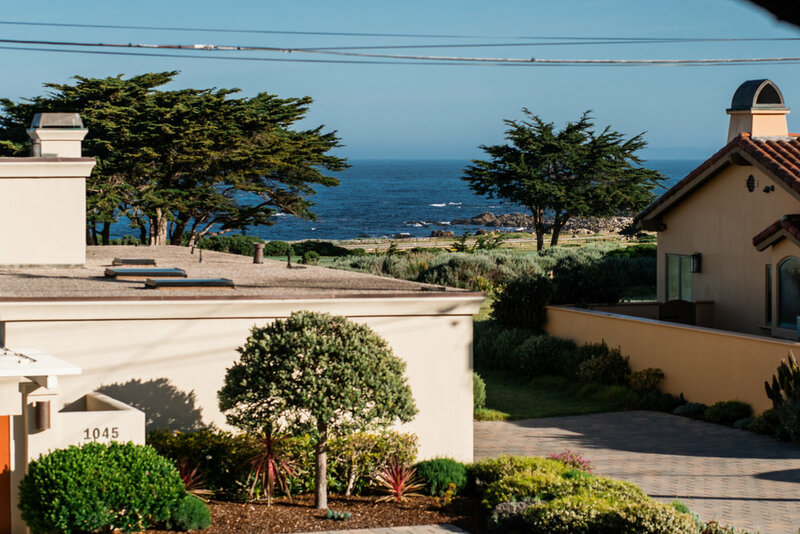 LA MARCHETA is located in the heart of Monterey Peninsula Country Club West of Pebble Beach. 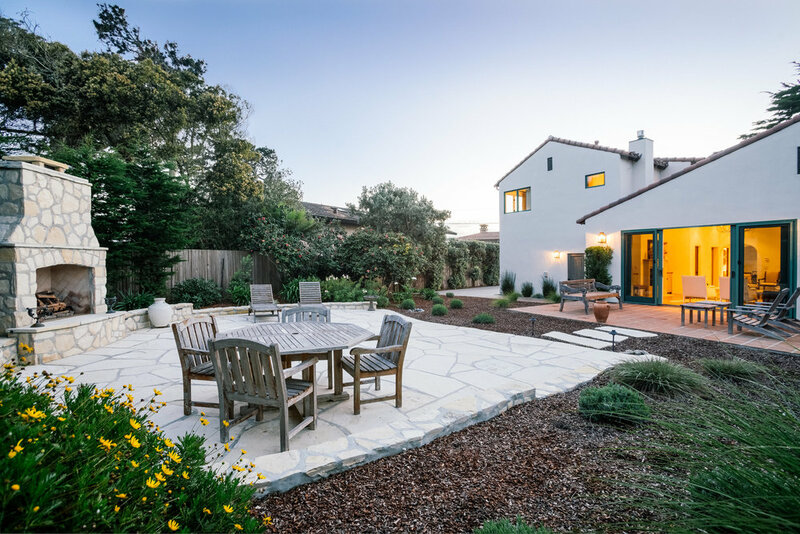 MPCC Frontline street properties carry the significant distinction of bordering one of Pebble Beach's landmark golf courses and country clubs situated on over 400 acres of forest, dunes, and coastal landscape, belonging to Monterey Peninsula Country Club. 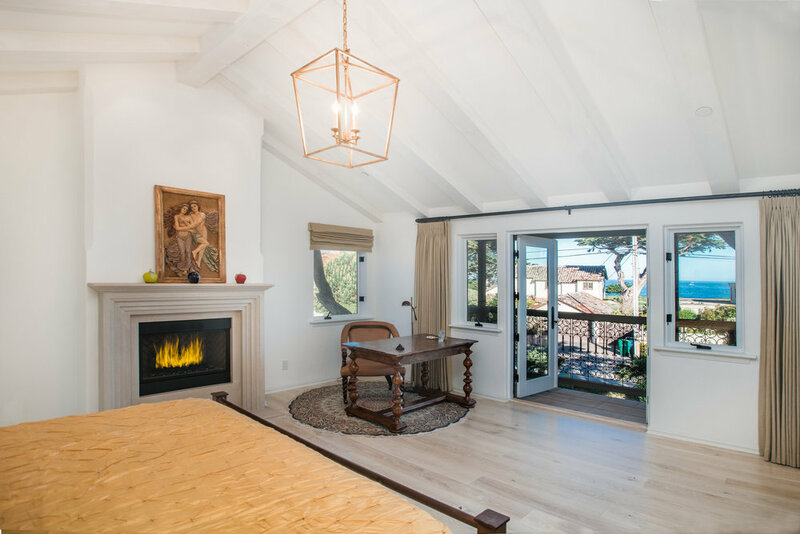 Combining Mediterranean weather, thriving forests, celebrating verdant fairways, and spectacular panoramic Pacific Ocean vistas, front line properties enjoy coveted, as well as protected views. Located right in the middle of the Monterey Bay National Marine Sanctuary, one of the most diverse marine ecosystems in the world, residents revel in frequent sightings of whales and dolphins breaching off shore. As one of the peninsula’s premier golf courses, with two celebrated 18-hole golf courses, MPCC is an annual host of the most exciting event on the PGA TOUR, The AT&T Pebble Beach Pro Am. Frontline residents, cherishing their lush fairway views, possess front row seats. Estates range from classic Mediterranean villas from the 1920's and 30's, to newer Architect designed beach houses and mansions. 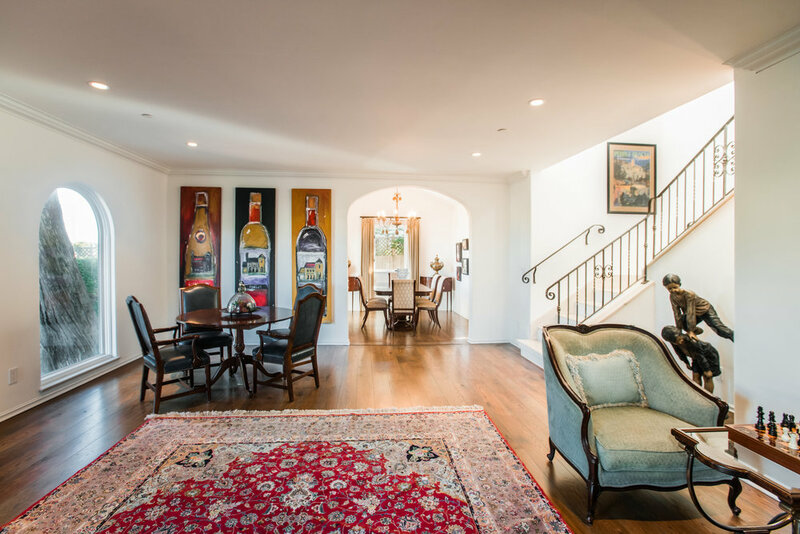 Spanning only 5 contiguous streets, frontline properties retain expansive views overlooking the golf courses and magnificent Pacific sunsets beyond. Encompassing less than 300 residences, with protected ocean views, front line properties are sought after for their privacy, quality, and exceptional location, garnering increasingly higher prices and limited supply.